Last month Volvo announced that its Polestar division would branch off into its own separate branddedicated to high-performance electrified vehicles. Now, one report claims that Polestar’s inaugural model will be a 600-hp coupe. According to Autocar, Polestar is considering a 600-hp coupe with a hybrid powertrain and lots of carbon fiber. To achieve that target, the coupe would need to make quite a bit more power than current models. Recently, Polestar was able to tune the XC60 and XC90 plug-ins to produce about 420 hp, making them the most powerful road-going Volvos ever. This isn’t the first time we’ve heard of a 600-hp Polestar car. 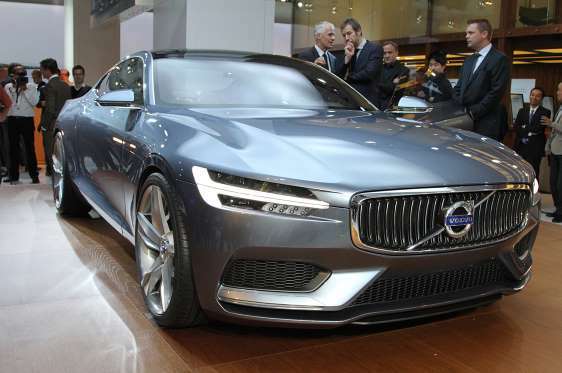 A year ago, we learned Polestar wanted to bring out 600-hp hybrid versions of the S90 and V90. Creating its own bespoke vehicle could give Polestar the boost it needs against Mercedes-AMG, BMW M, and Audi RS. The high-powered Polestar coupe could debut at the Frankfurt Motor Show this September.